With final exams coming up, many of us are probably feeling stressed, frazzled, and even unmotivated. For me, coping with these negative emotions has always been a struggle, considering that I often resort to junk food as my source of comfort. However, since learning that UCLA offers weekly drop-in meditation sessions on campus, I have become more motivated than ever to give meditation a try. That’s why I decided to attend one of the sessions earlier this week, and here was my rather interesting experience. There is overwhelming evidence suggesting that meditation has profound effects on our emotional, mental, physical, and spiritual health. A 2003 study, for example, found that meditation can lead to positive changes in the brain and immune response. Specifically, individuals who meditated experienced enhanced mood and even an increase in antibodies from an influenza vaccine. 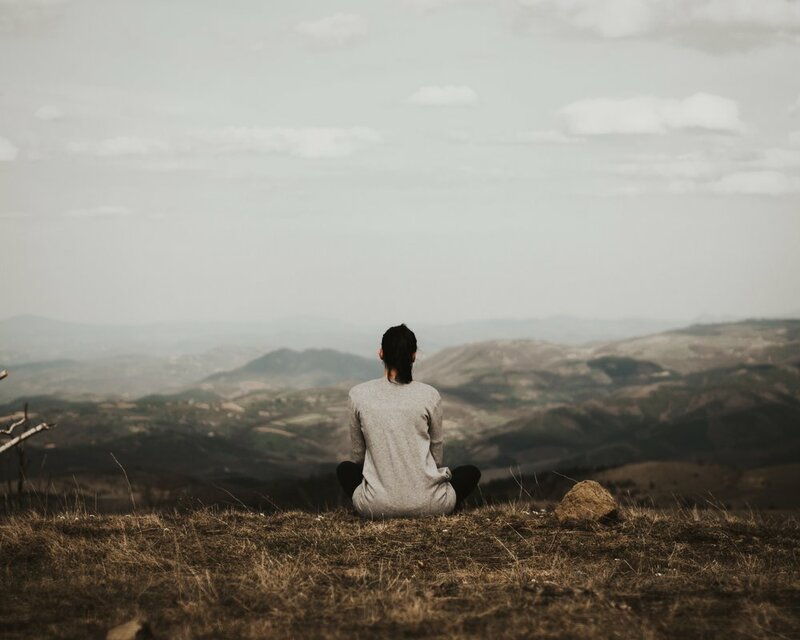 Other studies found strong links between meditation and a reduction in perceived stress, negative mood, depression, fatigue, confusion, and heart rate. These benefits are well heard of, but I decided to experience them for myself. I remember arriving just in time for the meditation session. I quickly found an empty spot on the floor, and our meditation leader greeted the room in her calm, soothing voice. After a brief introduction, she went on by saying, “Life starts now, not after graduation or some life event. Meditation helps you be in the present moment, so embrace the next thirty minutes that we have together, and start experiencing life right now.” Those words, which I still vividly recall, touched me deeply, encouraging me to adopt such a mindset as I proceeded into the meditation. She told us to sit comfortably, close our eyes, rest our hands, and focus on our breaths. Perhaps it was my first time meditating in the presence of other people, but I found it rather challenging to concentrate. My mind kept bouncing back and forth between a million different things: my upcoming exams, outstanding homework assignments, what I had planned on making for dinner, etc. And just when I finally felt my brain quieting down, my breath slowing down, the session was over. I had thought that delving into a relaxed state of mind would be easy, almost automatic once my eyes were closed, but I completely underestimated the difficulty. As I opened my eyes and slowly oriented myself to the room, I was disappointed that the mediation session had lasted for such a short time. In truth, 30 minutes had already passed. My mediation session was not “successful”, considering that it had taken me such a long time to focus. However, what impacted me the most were the inspiring words that our meditation leader shared–that “life starts now”. Clearly, I had been living my life anxiously in the future all along, never in the present, which explains why it had been such a challenge for me to meditate in the first place. However, I realize that doing so would never make me happy, and since then, I have vowed to continue practicing meditation, and to give myself time and space to live mindfully in the moment. To be frank, I did not experience a boost in positive feelings after the meditation. In fact, I felt little emotional difference before and after the meditation session, although that might be because I had already been feeling anxious and stressed. Nevertheless, I truly valued the thirty minutes that I had to myself during this meditation, because at least now, I realize that I need to live more in the present and understand the importance of finding space, even amidst my jam-packed schedule as a college student, to reflect on myself and how I am living life. Therefore, this mediation session, while it may not have lived up to its expectations, has encouraged me to begin incorporating mediation to my life, whether that is attending a free drop-in session offered at UCLA, or simply taking ten minutes out of my day to unwind and be in the present moment. For those of you who may be intimidated or discouraged by previous experiences, give meditation one more chance. You never know what good can emerge. “Alterations in Brain and Immune Function Produced by Mindfulness Meditation.” Psychosom Med. (2003). “Effects of Brief and Sham Mindfulness Meditation on Mood and Cardiovascular Variables.” J Altern Complem Med. (2010). “The Benefits of Meditation Vis-à-vis Emotional Intelligence, Perceived Stress and Negative Mental Health.” Stress Health. (2009). “The Benefits of Mindfulness Meditation: Changes in Emotional States of Depression, Anxiety, and Stress.” Camb Core. (2012).